Using our local market demands as our muse and following the guidance of our Italian roots, we’ve curated a list of the 7 hottest kitchen trends to grace 2017! Have you met white’s surprising subtle friend gray? It’s a versatile base color and one that our clients are really gravitating towards because of its neutrality. By using gray cabinets for your unbiased base, you can introduce a fresh color into your space while allowing endless complimentary options. Contrast kitchens are very of-the-moment. By mixing different materials and finishes/colors you are able to create a unique end product loaded with impressive character! 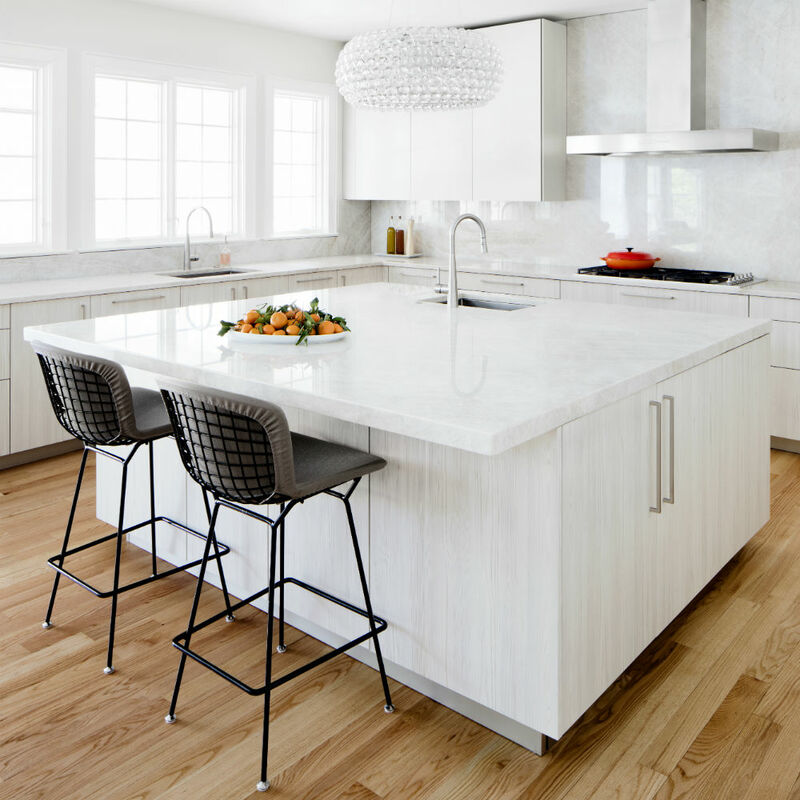 Pairing a textured melamine with a glossy or matte lacquer presents a gorgeous and visually pleasing kitchen. 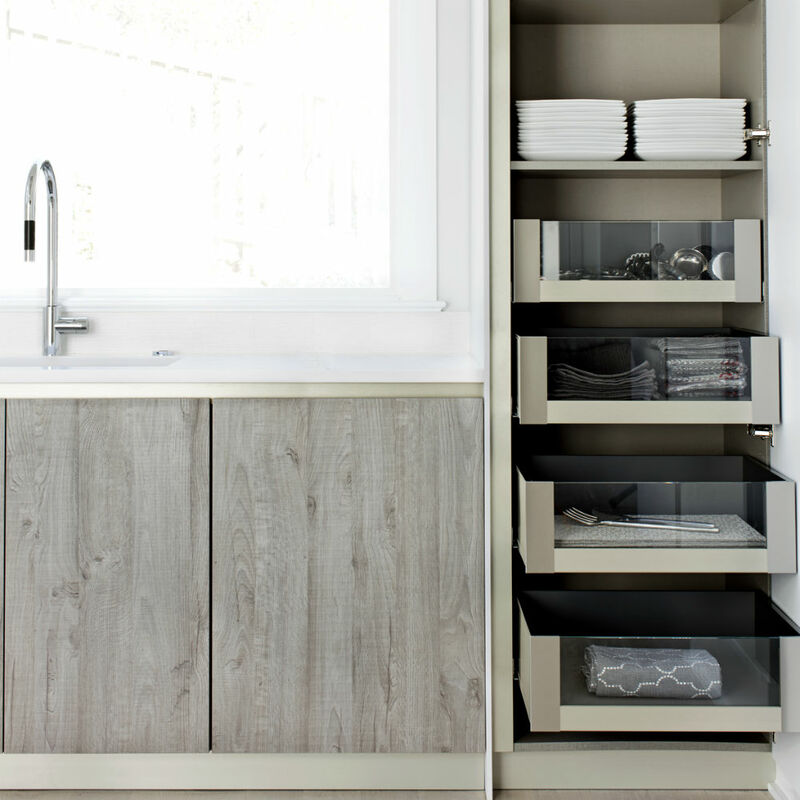 The movement towards glass cabinetry requires an individual with a keen eye for order and cleanliness. 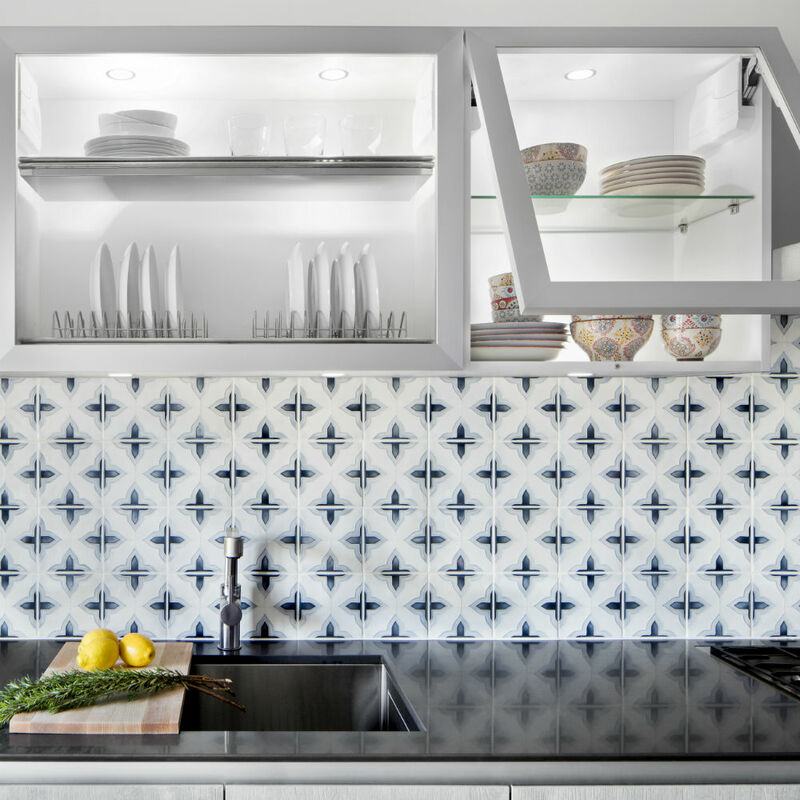 Glass cabinets are timeless, and, if selected with a critical eye, can make a striking statement. Glass cabinets outfitted with LED lighting are a beautiful way to break up your space (another take on the contrast kitchen) and generate a more open feeling in your kitchen. 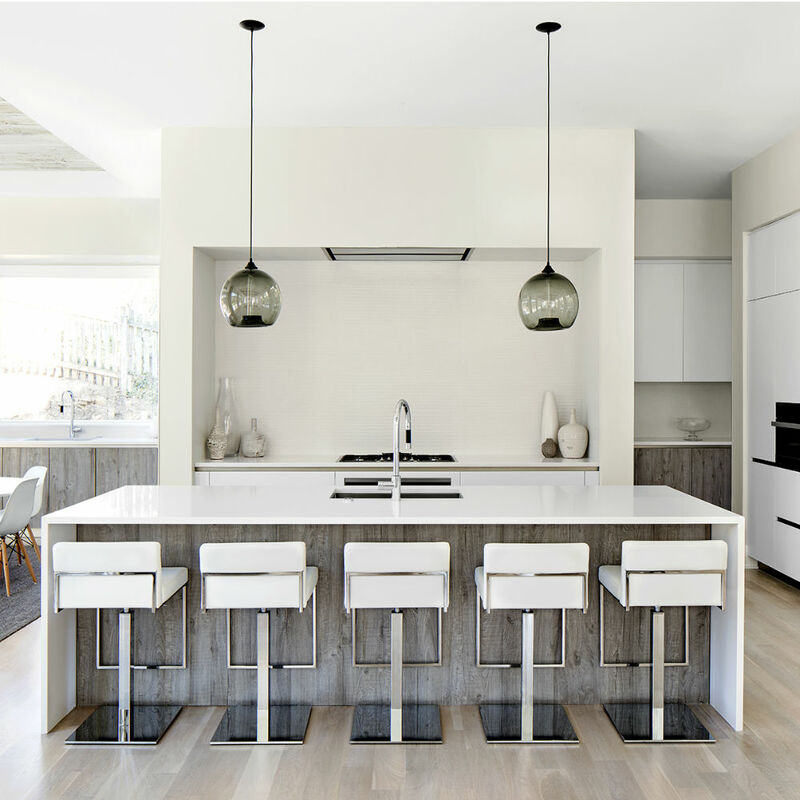 While there has been a progression towards sleek and clean kitchens, it begs the question “where do I store all of my kitchen appliances?” The perfect answer to solve the sleek storage conundrum– big islands. Not only do oversized islands create a unique aesthetic, they can accommodate for an eat-in kitchen area while adding large amounts of storage, including space for some of those essential appliances! To avoid a sterile room, many clients are transferring some of their own personality into their spaces. Be it a colorful countertop or a daring backsplash our clients aren’t afraid to have a little fun when finalizing their kitchen! 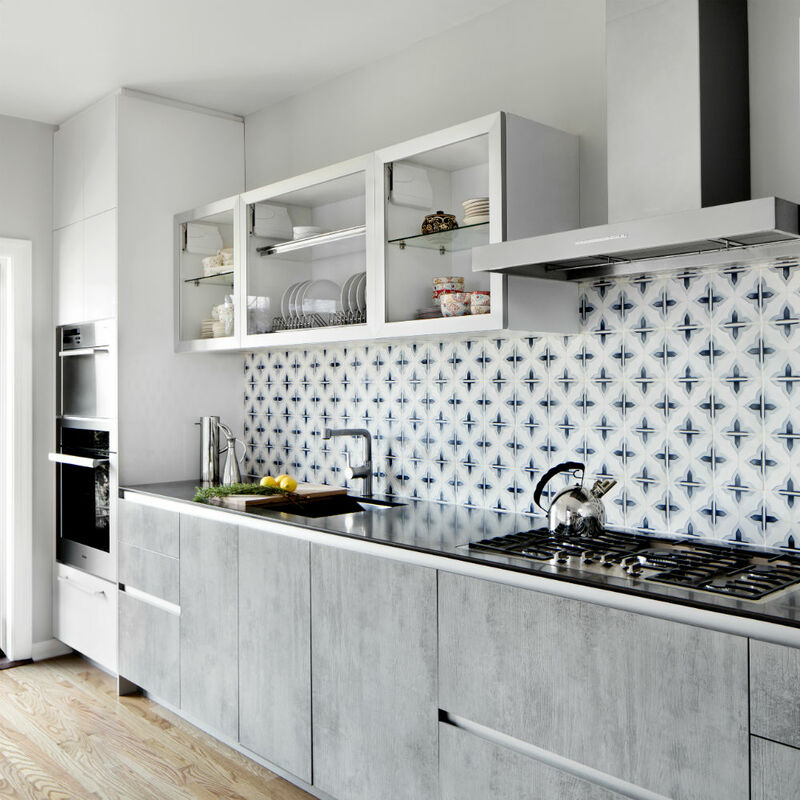 An exciting colored or textured backsplash is a great way to create interest and enliven your space without having to be too bold. What once was strictly meant for function is now an item that can define a space. 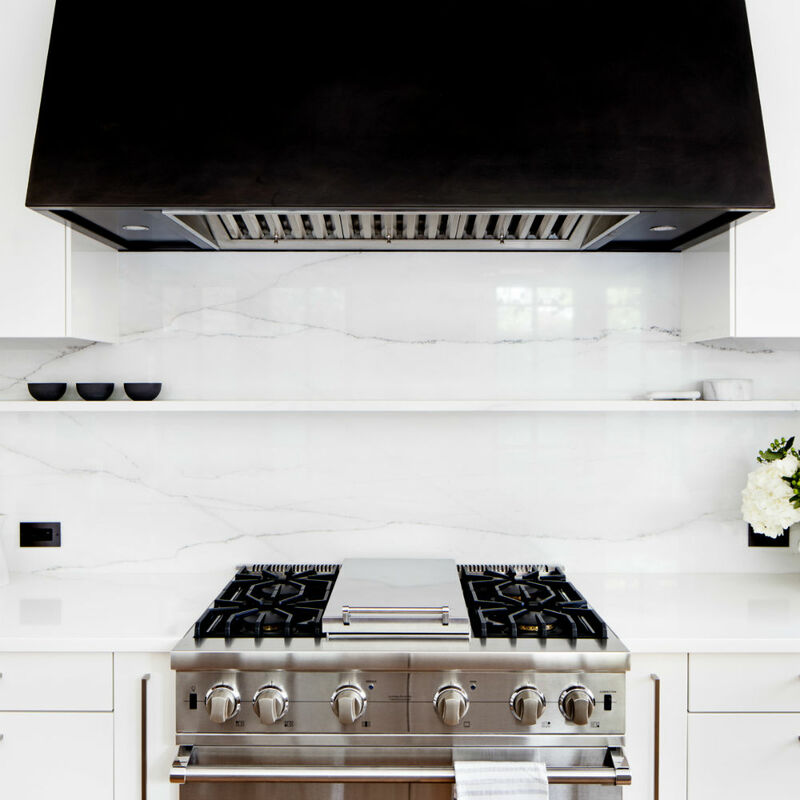 A statement hood delineates a signature detail in your kitchen and makes for an excellent accessory accent. A nod to accessories, the right accessories can add an even more elevated level of sophistication to your kitchen along with providing excellent functional storage. 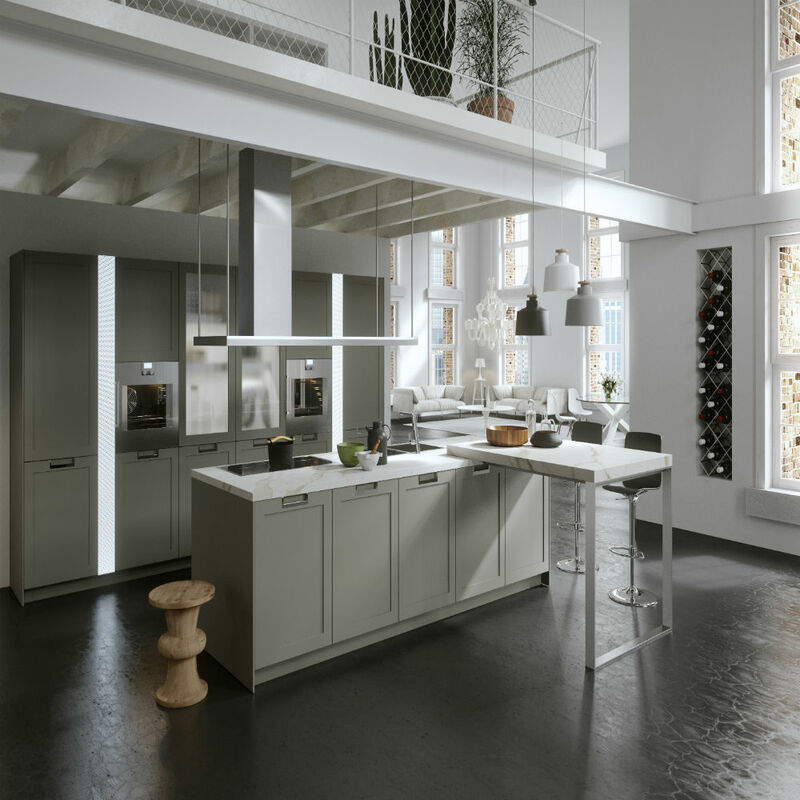 You can have a beautiful kitchen, but without the right accessories, you are left without complete functionality and without that special pop of pizzazz. We love these beautiful glass and stainless steel basket drawers that help organize your pantry and maximize space utilization.